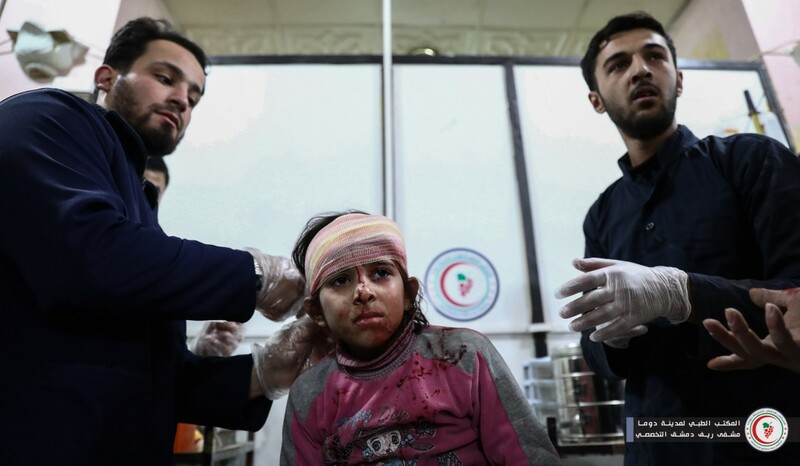 Between one and four civilians, including a child, were killed and up to nine more were injured from two aerial bombings of the city of Al Atarib. The strikes reportedly struck a bakery, a hospital, and several civilian houses, causing damage extensive enough to shut the hospital down. 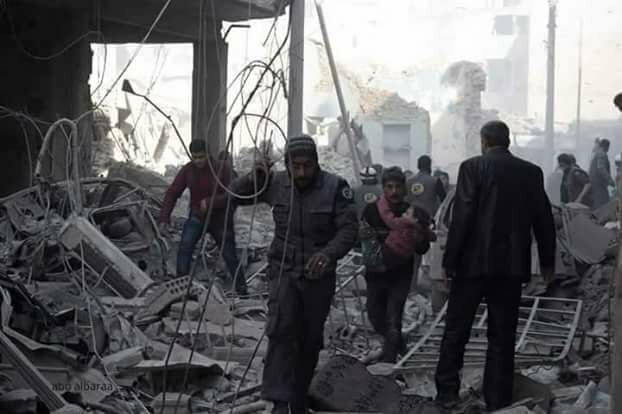 According to the Syrian Observatory for Human Rights, “a child and an old man were killed and others were injured, when warplanes bombed areas in Atareb town”. 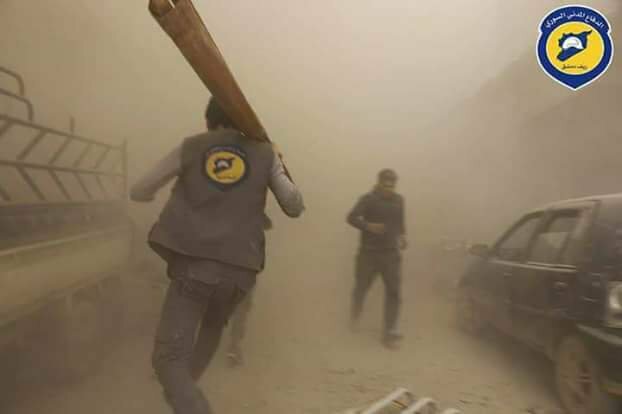 The majority of sources have credited the attacks to Russian warplanes but the Syrian Network for Human Rights and @NabaaSyria have identified Syrian regime forces as being responsible. Sources noted that the death toll was expected to rise due to some in critical condition from the injuries they sustained. 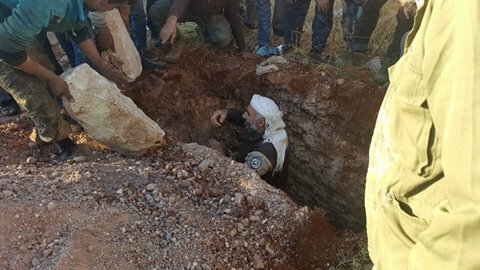 An image published by SN4HR showed the father of one of the victims burying his child, who was killed by the airstrikes. SN4HR also reported the use of cluster bombs in the attack. Competing claims of responsibility e.g. multiple belligerents, or casualties also attributed to ground forces. 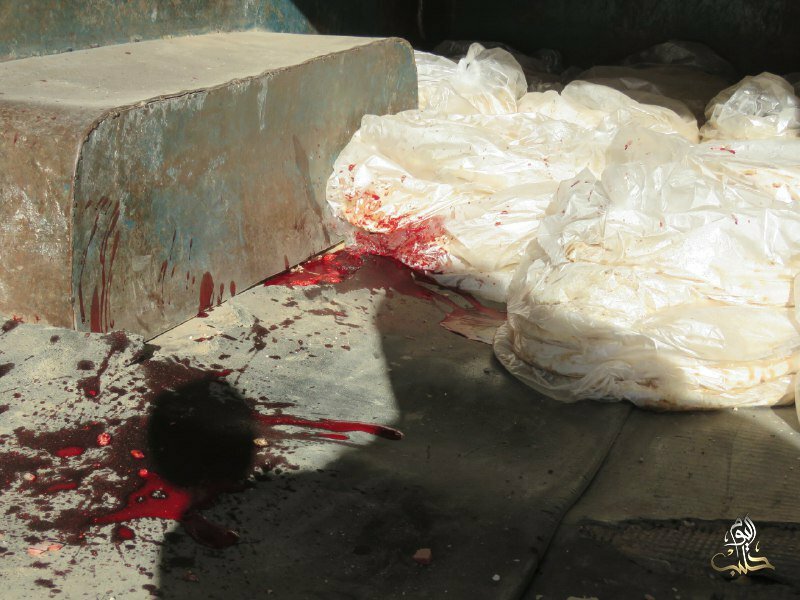 Two adult male civilians died in an alleged Russian airstrike on the Tlailat area in Aleppo’s southern countryside, according to the Violations Documentation Center. No further details are currently available. Single source claim, though sometimes featuring significant information. Russia has not reported any specific strikes between November 1st – 30th 2016. Additionally, Russia reported that its air forces have carried out strikes in Aleppo during November and December 2016. 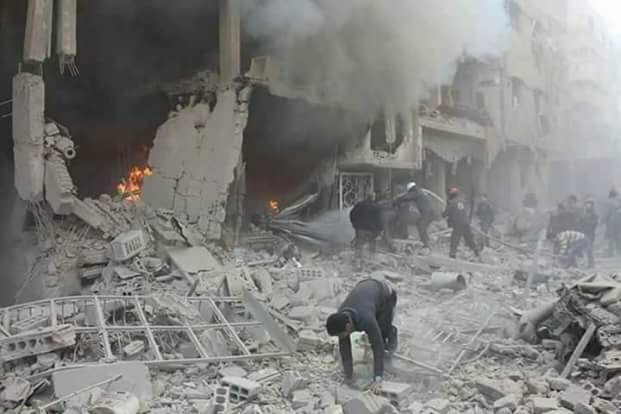 Between one and three civilians died in airstrikes on Al Atareb hospital according to multiple local sources. Orient and Al Jazeera and most other sources, blamed Russia for the incident. The hospital is now out of service including the operating rooms and pharmacy according to Al Jazeera who also alleged a number of medical personnel were injured. 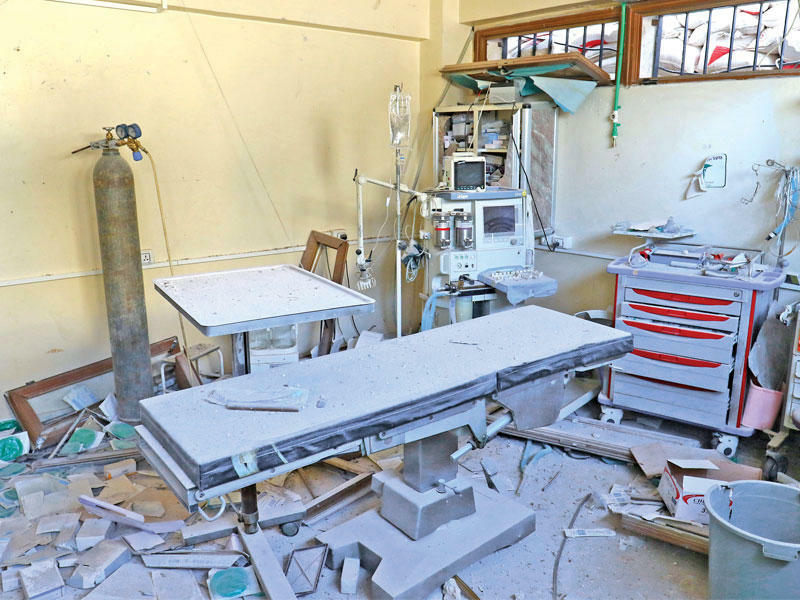 Bombing of the hospital in Al Atareb was part of an aerial campaign where three hospitals in Aleppo were struck including Baghdad Hospital in Aweijal and a hospital in the town of Kafarnaha. 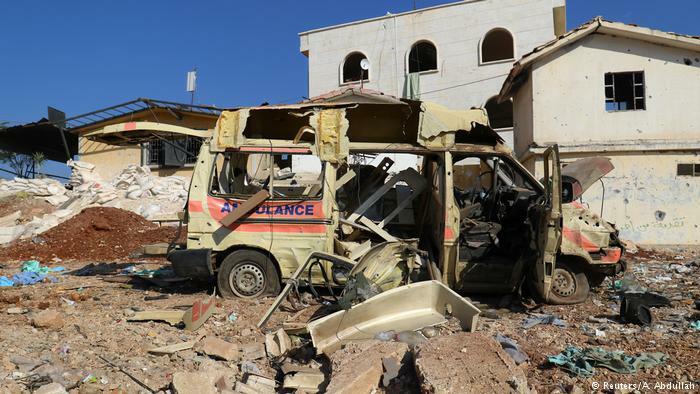 According to the Syrian Observatory for Human Rights, the hospital was struck by five consecutive raids damaging ambulances, injuring a woman and destroying her home. The source did not attribute blame and mentioned only “warplanes”. 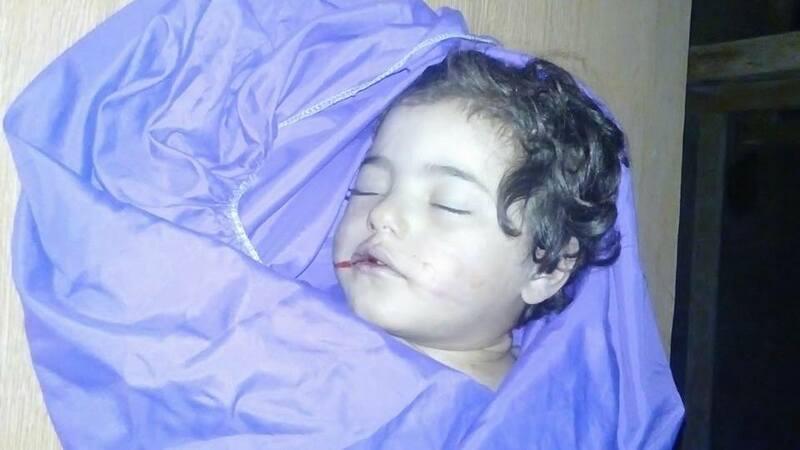 Masaralarabi however blamed both the Regime and Russia for the attacks. DW news reported the Director of National Defense in the city of Atareb, Ali Goma, told the German news agency (DPA), “Russian warplanes launched a missile attack on the space of the hospital and surrounding houses, killing three civilians and wounding others, including a number of medical staff”. The majority of sources blamed Russia, some did not identify a culprit, and a small number referred to the Syrian regime. On 6 January 2017, Russia, however, reported: “Since November 8, 2016, the aircraft carrier group of the Northern Fleet consisting of the heavy aircraft carrying cruiser Admiral Kuznetsov, the heavy nuclear missile cruiser Pyotr Velikiy, the large ASW ship Severomorsk, as well as auxiliary vessels of the Black Sea Fleet, has been fulfilling counterterrorist missions on the territory of Syria”, adding that ”in the course of two months of their participation in the combat actions, naval aviation pilots have carried out 420 combat sorties, 117 of them were night ones”. 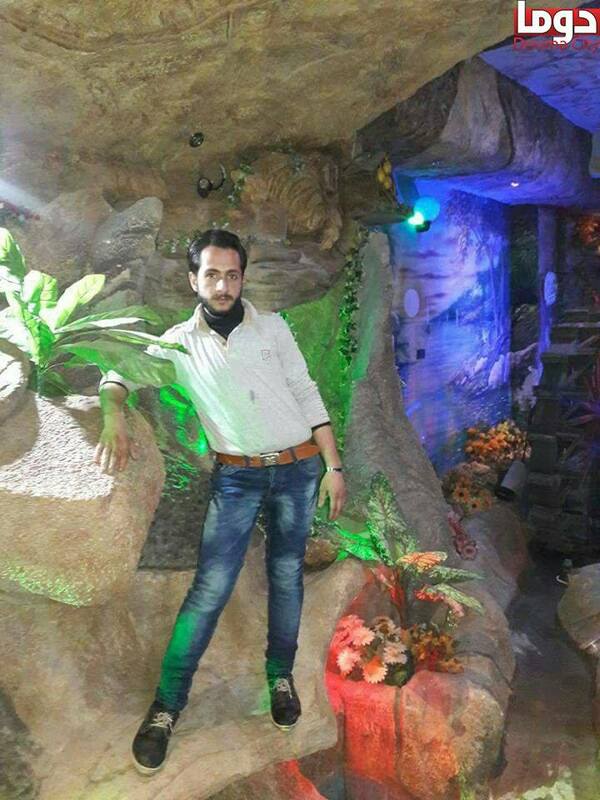 Eleven named civilians were killed – including five children, a woman and two men – and dozens more were wounded in an alleged air and artillery strike on a market in Douma, according to reports from the ground. Sources were conflicted as to who to blame. Many attributed the strikes to Russian missiles, while others reported the Syrian regime was responsible for the ground artillery shelling. Three of the children killed in the airstrike were siblings. One man was a blacksmith who worked in the market. The strikes allegedly struck a popular market and residential neighbourhood with napalm bombs and missiles. Additionally, many sources reported that land-to-land missiles and artillery shells were used in the bombardment. Many of the shells resulted in a “severe blast” according to Shaam. Additionally, sources such as Alsouria reported that eight raids occurred, each one carrying at least two missiles. Video footage shows huge fires in the immediate aftermath of the raid, with civilians being dragged from burning buildings. 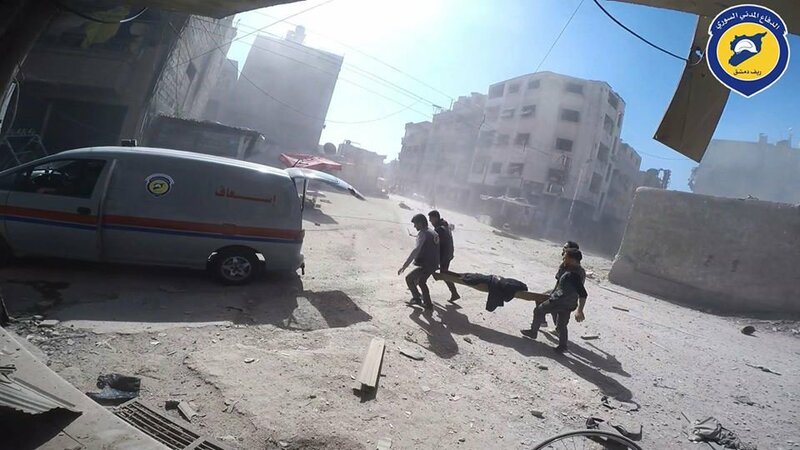 Douma revolution reported that bodies were charred from the fires caused by the blast. 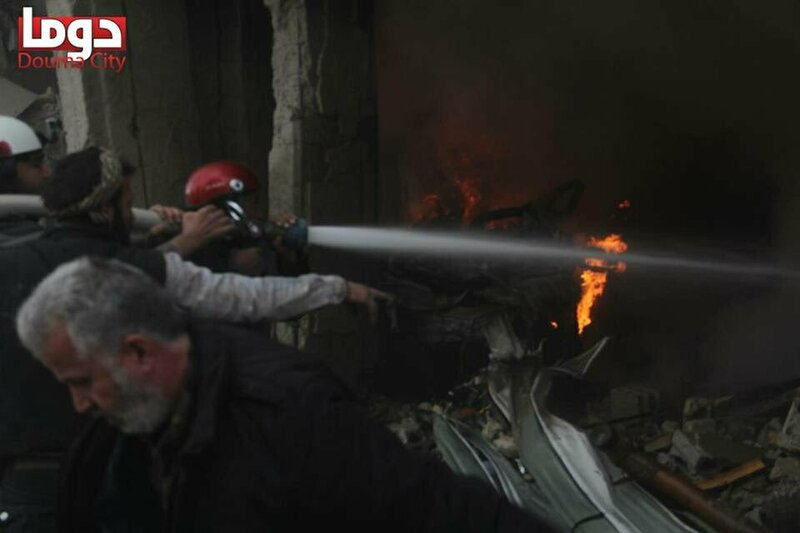 Many wounded civilians were trapped under the rubble, and video footage shows the Syrian Civil Defence searching for the missing. 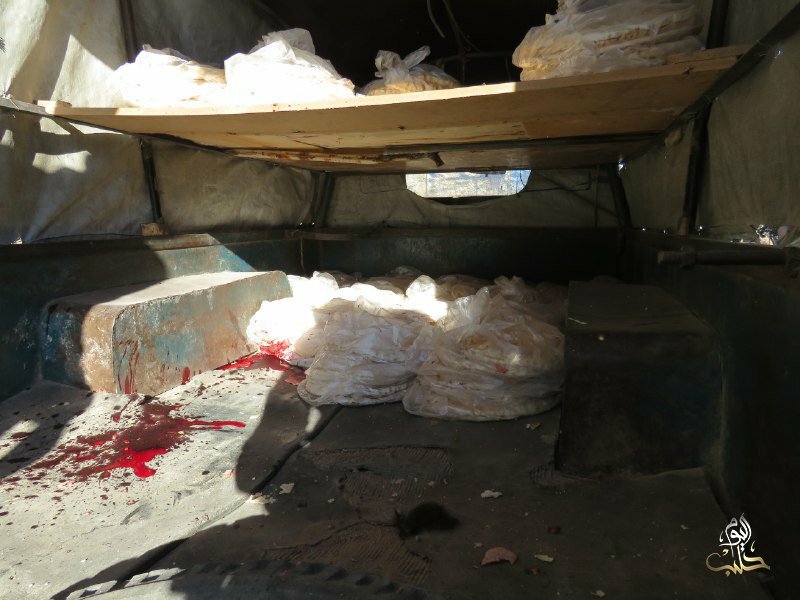 According to the Syrian Observatory for Human Rights, some of the injuries were so severe that the death toll was expected to rise. The incident occured at 3:00 pm local time. This media contains graphic content. Click to unblur. Russia has not reported any strikes between February 1st – 31st 2017. Three civilians including women and children died in air or artillery strikes on Al Ansari, Aleppo, though it was unclear whether Russia or the Syrian regime were to blame. Alsharq and the Smart News Agency put the death toll at one, but all other sources said three people died. Baladi and @heba_alhomsy222 both blamed Russia. 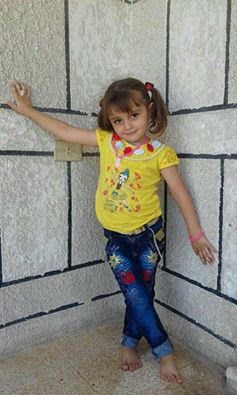 Sdusyria placed the toll at three, also including women and children. The source blamed “Assad helicopters”, as did the Syrian Network for Human Rights. 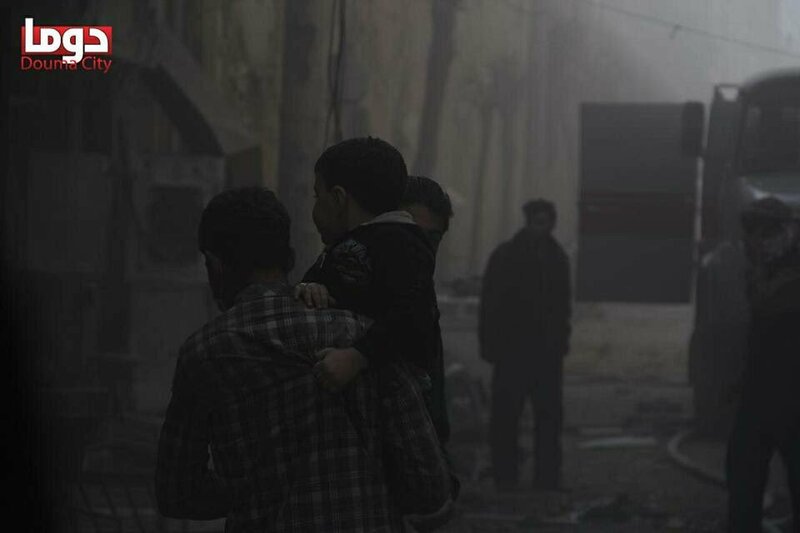 According to the Syrian Observatory for Human Rights, “shelling by regime forces with artillery and rockets in the neighborhoods” of Aleppo resulted in the deaths. 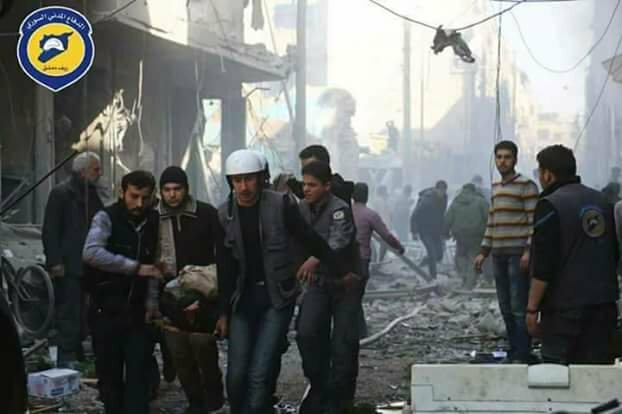 A 15 year old boy was killed, and five civilians were wounded, following alleged Russian airstrikes on Abo Hayya. Both sources blamed Russian warplanes. There are no other details at this time. 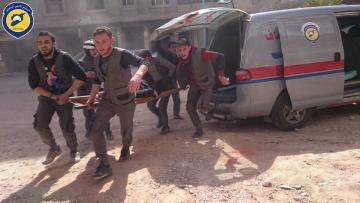 As many as three civilians were killed – including one man – and some others were injured, following an airstrike on the towns Hatla and Salihiya. Sources mostly all blamed Russia, however some remained impartial and did not attribute the blame. According to the Smart News Agency, the strike hit “Al Salhiya roundabout at the northern entrance to Deir al-Zour and the village of Hatala”. 7la news specified that there were exactly two strikes. The wounded were allegedly left with an “absence of medical personnel and a significant shortage of medicines and emergency supplies” in the aftermath of the raid. Russia has not reported any specific strikes between June 1st - 31st 2017. 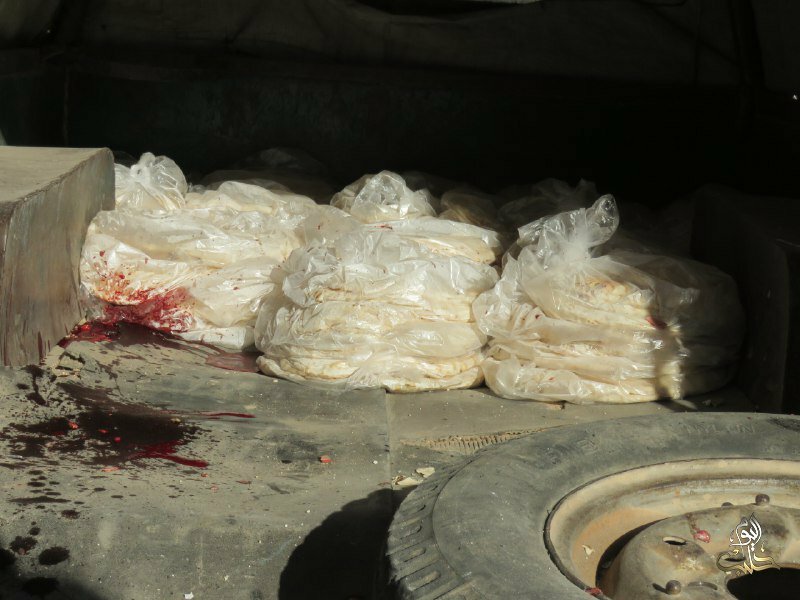 One woman died and several other civilians were wounded in an airstrike on Maarat Misrin, according to sources on the ground – though it was unclear whether Russia or the Assad regime were responsible. Most sources attributed the civilian harm to Russia. 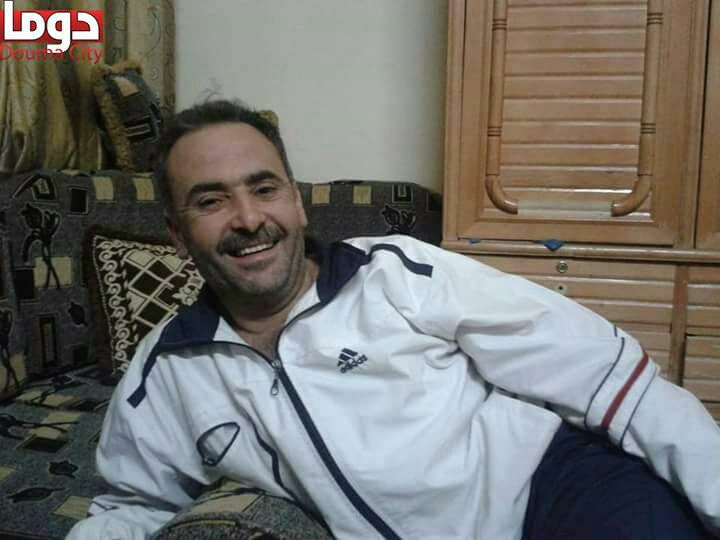 However, Zamanalwasl was one of several sources that pointed to the regime, reporting that “in Maarat Misrin, one woman was killed and others injured by cluster bombs that had already been dropped by the regime’s planes”. According to the Shaam News Network, “Assad and Russian warplanes launched more than 24 air strike in the cities and towns of the province today [Nov 8th[, including more than 13 raids with cluster bombs, and two raids using phosphorus incendiary and napalm bombs, which are internationally forbidden. 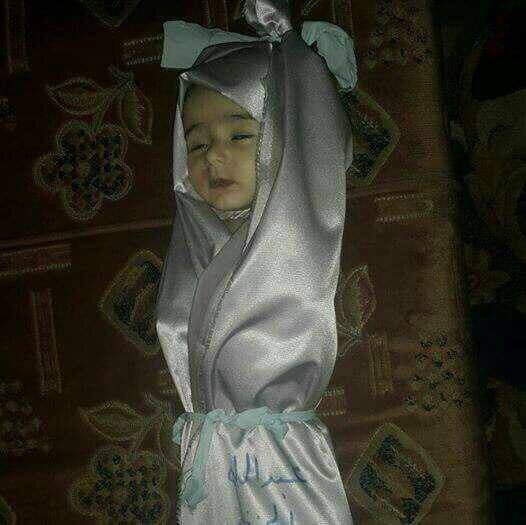 This resulted in a martyr in Maarrat Misrin”. On 6 January 2017, Russia reported: “Since November 8, 2016,the aircraft carrier group of the Northern Fleet consisting of the heavy aircraft carrying cruiser Admiral Kuznetsov, the heavy nuclear missile cruiser Pyotr Velikiy, the large ASW ship Severomorsk, as well as auxiliary vessels of the Black Sea Fleet, has been fulfilling counterterrorist missions on the territory of Syria”, adding that ”in the course of two months of their participation in the combat actions, naval aviation pilots have carried out 420 combat sorties, 117 of them were night ones”.